Jesus said strongly, "Be quiet! Come out of the man!" The evil spirit made the man shake. Then the spirit made a loud noise and came out of the man. 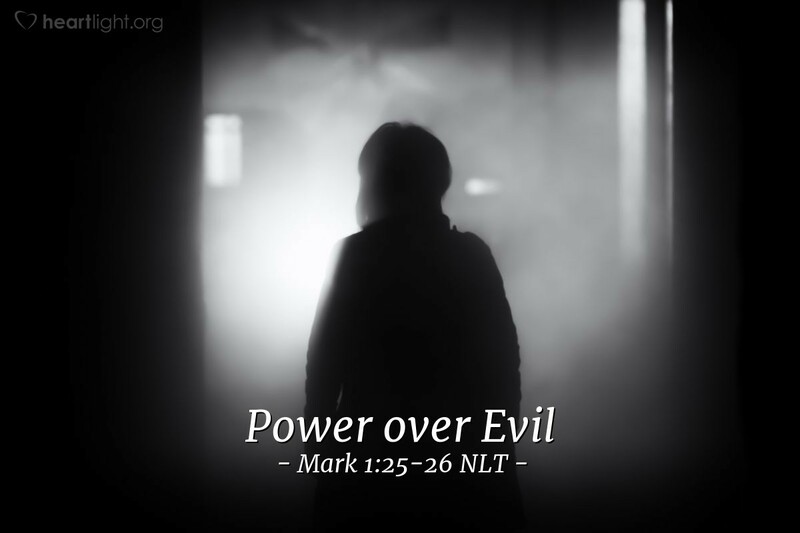 Jesus had power over the evil one and the vile power he seeks to wield. He defeated him during the temptation in the wilderness. He defeated him in every encounter during his life. Most gloriously, he defeated him in the place of Satan's greatest power—death. Jesus' victory over Satan and death will be most gloriously realized when he comes again in glory with victory for all of his disciples. O LORD, God Almighty, the Sovereign God of Israel, thank you for giving me victory through Jesus over Satan, sin, and death. I praise you for your grace that has saved me. I praise you for your Spirit that indwells in me and gives me power. I praise you for the coming glorious return in which I will share. To you belongs all glory and honor, now and forevermore, in the name of your Son, Jesus, Amen.